The train left Seattle for Los Angeles on Sunday but hit a fallen tree Sunday night in the mountains outside Oakridge, Oregon. The 183 passengers were stuck for 36 hours before the train got moving again Tuesday morning. People banded together to help each other while they were stranded, passengers said. 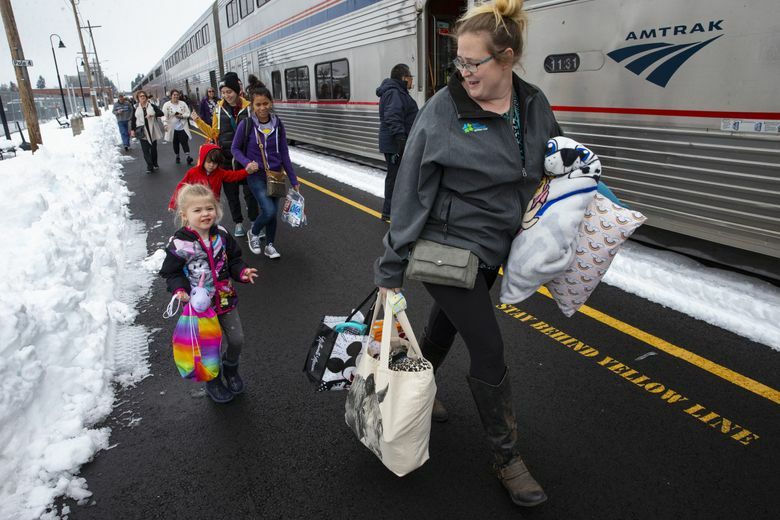 By the time the 183 passengers aboard the Amtrak Coast Starlight were freed from their snowbound ordeal on Tuesday, more than a day and a half had passed since their departure from Seattle for Los Angeles. The train was passing through a remote, snowed-in area 40 miles southeast of Eugene when it struck a tree on Sunday evening, leaving riders stranded. The train was serviced there before continuing on its northern trek. Even then, its troubles weren’t over. When the train reached Portland, riders were told there would be further delays returning to Seattle because of an earlier fire on a bridge over the Columbia River. The train departed Portland around 5:30 p.m. Tuesday and was expected to reach Seattle later that night, Irvin said. The double-decker train left Seattle early Sunday and struck the tree that evening. The train had been traveling on a portion of the Seattle-to-LA route that veers east, away from the Interstate 5 corridor and into the Cascade Mountains. 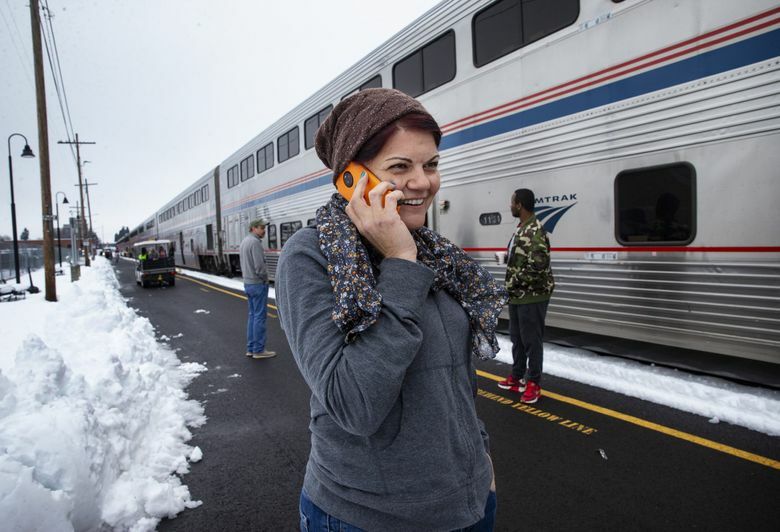 “It was surreal,” said Klamath Community College teacher Rebekah Dodson, who boarded the train in Albany, north of Eugene, had expected to be in Klamath Falls by Sunday night. Passengers, along with the crew of 13, banded together throughout the ordeal. 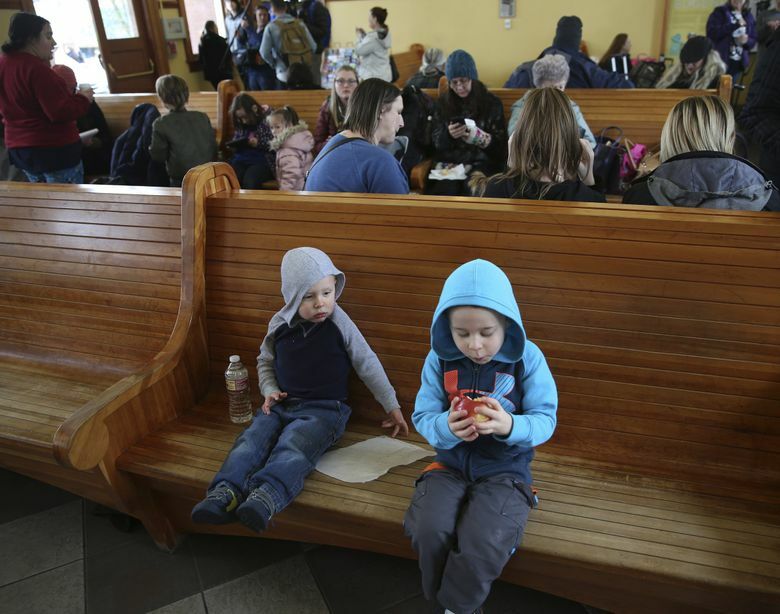 With cellphone service limited, younger passengers helped older ones reach their families to let them know they were all right, said Rhodes, of Scottsdale, Arizona. Rhodes added that a “mom brigade” was formed to care for and entertain the children. Passenger Carly Bigby, a teacher from Klamath Falls who’d been visiting Eugene, told Portland’s KOIN-TV on Tuesday morning that parents had run out of diapers, and a worker in the cafe improvised with napkins and safety pins. “We made every decision in the best interest of the safety of our customers during the unfortunate sequence of events,” Amtrak Executive Vice President Scot Naparstek said.